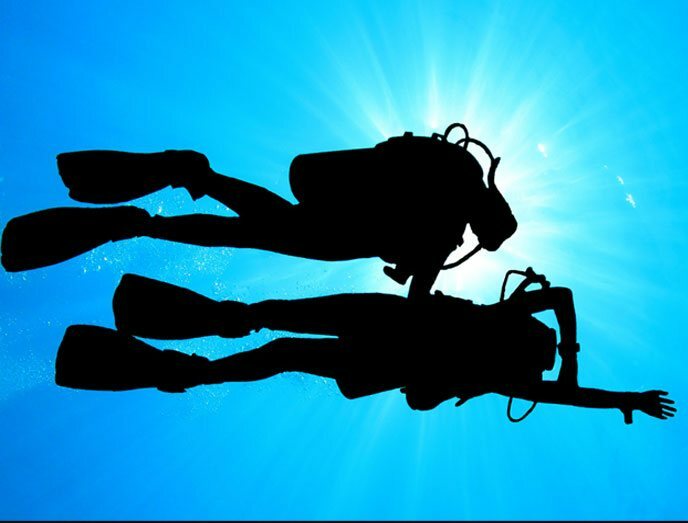 Take your diving to the next level with specialty SCUBA classes! Scuba diving is a way to explore and experience our underwater world in new and exciting ways. 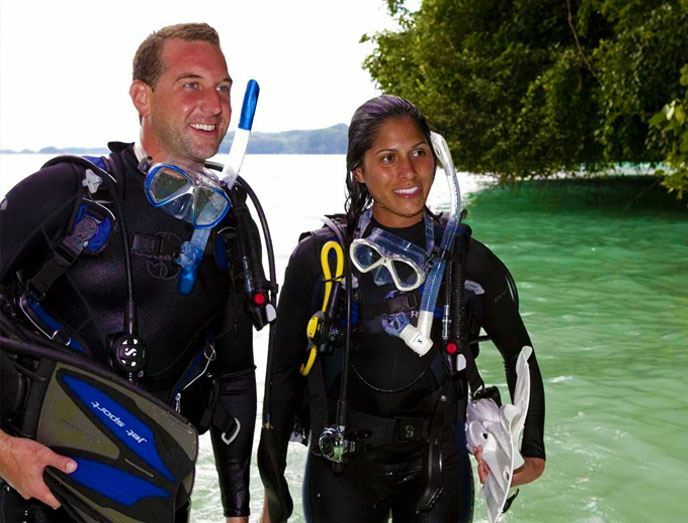 Through our PADI certified specialty SCUBA classes, you will learn new techniques and gain the skills to help you become a better, more confident diver, and broaden your SCUBA skillset. In other words, these classes will take your diving to a different level! We offer advanced specialty SCUBA classes for equipment use, night diving, dive instructor training, stress and rescue, drift diving, and NITROX diving, just to name a few. 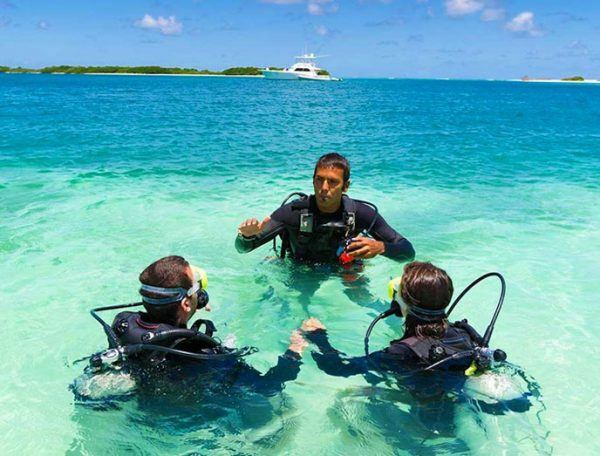 Furthermore, our instructors have over 85 years of collective experience SCUBA diving. We approach dive instruction in a way that teaches you everything you need to know combined with real-world application. Our dive instructors take the time to make sure you are comfortable with the concepts and techniques of your specialty SCUBA class. This ensures a very comprehensive dive education. Sign up for a class today and see why our customers love learning from Mac’s! Watch our series of Risk Awareness Videos to help you become a better, more AWARE diver! Learn the benefits of NITROX. 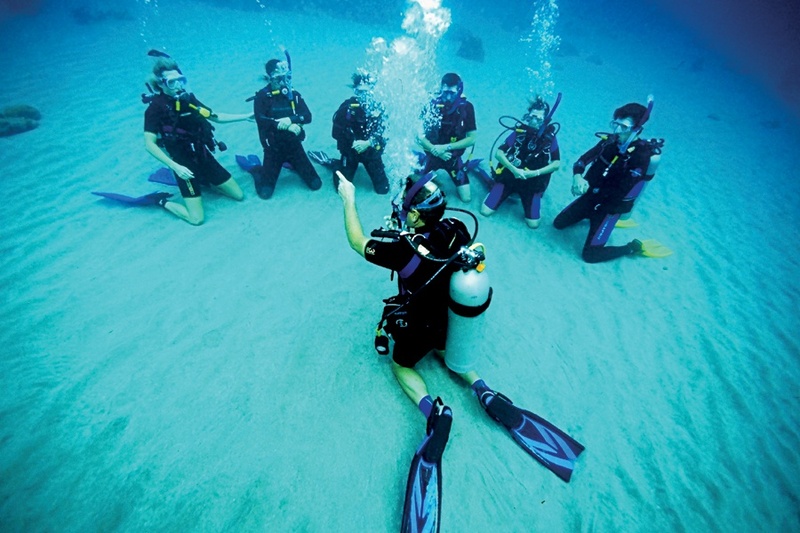 This specialty SCUBA class introduces you to, Nitrox, a breathing gas that is simply air enriched with oxygen. Nitrox, which is 21% – 40% oxygen, contains lower percentages of nitrogen than air does. 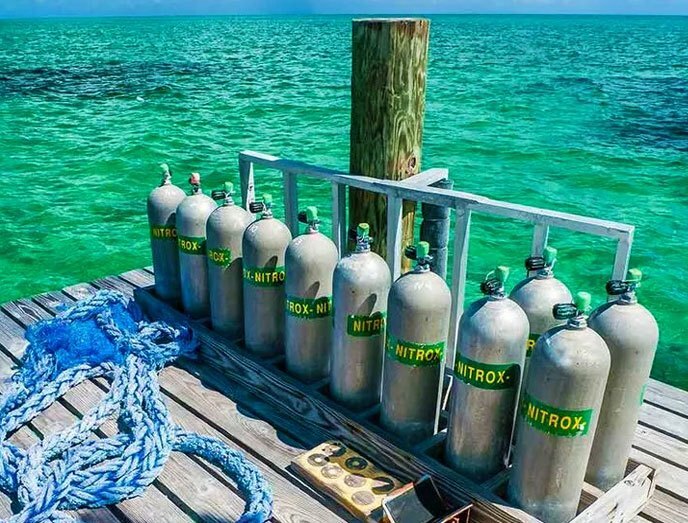 The lower amount of nitrogen, present in nitrox, offers many benefits that will make your SCUBA diving safer and more enjoyable. Shorter Surface Intervals and Longer Bottom Times. Learn to safely navigate and explore wreck dive sites. Our wreck diving specialty SCUBA class is one of the most common interests that, new and experienced, divers have. It is fascinating to be able to explore wreck sites but can be dangerous if safety precautions are not followed. Learn how to dive around these mysterious structures that were sunken either by natural causes or by man to create an artificial reef. 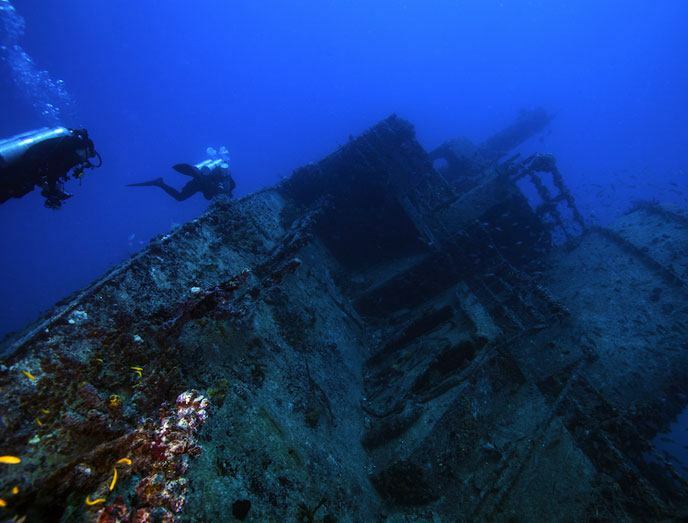 Gain a knowledge and understanding of proper wreck diving procedures. Learn safety considerations when exploring and navigating wreck sites. Techniques to avoid disturbing the wreck and its inhabitants. Learn techniques to become more “reef-friendly”! Experience the unique beauty night diving provides. Our Night Diving specialty SCUBA class provides a different perspective of the underwater worlds. When the sun goes down, corals open up and spawn, crabs and lobsters walk freely about, and a completely different set of reef creatures come out to play. 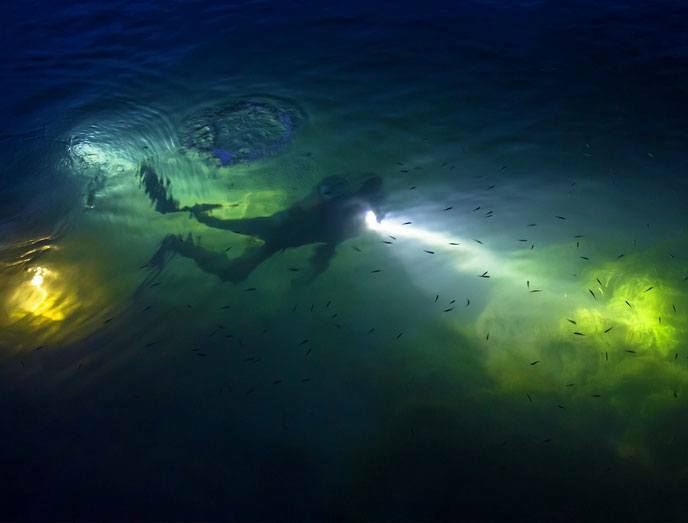 Limited Visibility Diving will teach you to safely and comfortably dive at night or when visibility is less than perfect. Learn light handling and communication techniques. Learn proper methods for entering, exiting and navigating in the dark. Identifying differences in plant and animal behavior at night. Gain comfort and confidence night diving or when water clarity is less than “post card” conditions. 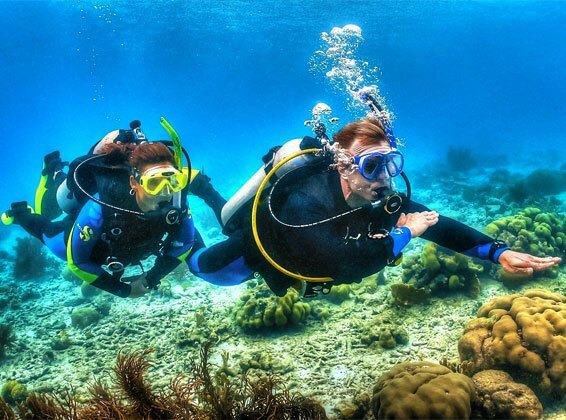 Build your dive control and abilities while SCUBA diving. Dive control is a skill that every diver needs. In our dive control specialty SCUBA class, you will learn skills that will help you become a more efficient diver, allowing you to enjoy SCUBA diving more. 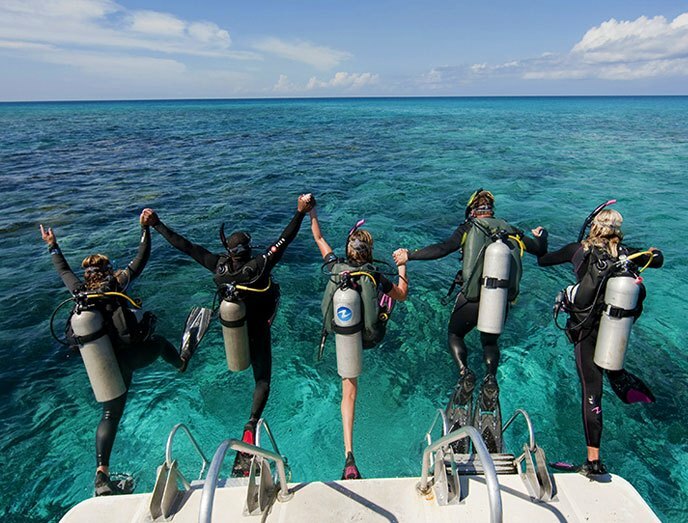 You will learn how to streamline all aspects of your SCUBA diving, from how you carry equipment to efficiency when kicking and descending, and above all, become more “reef-friendly”! Streamline your profile by minimizing and controlling the drag of equipment clutter. Descend and kick more efficiently. Skills to make your boat diving experience safer, and more enjoyable. Some of the best dive sites are only accessible by Boat Diving. 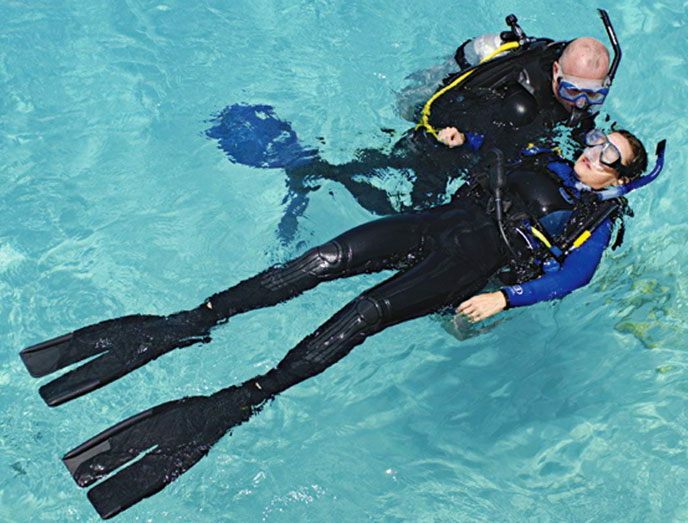 In this specialty SCUBA class, Learn skills and techniques to make your boat diving experience safer, more comfortable, and more enjoyable. Learn differences between different boat styles, safety equipment procedures, boat etiquette, and even sea-sickness prevention. Learn about all parts of a vessel and proper equipment stowage. Learn proper anchor and drift diving techniques. Learn proper techniques for mooring and other lines. Increase your control and abilities while SCUBA diving. Drift Diving can feel like flying as the current carries you along. Our drift diving specialty SCUBA class will give you a comfort level with controlling your movement through currents. Learn techniques and skills to safely drift dive and enjoy going with the flow as you scuba dive down rivers and use ocean currents to propel you along. Introduction to drift diving equipment; floats, lines and reels. Overview of the causes and effects of aquatic currents. 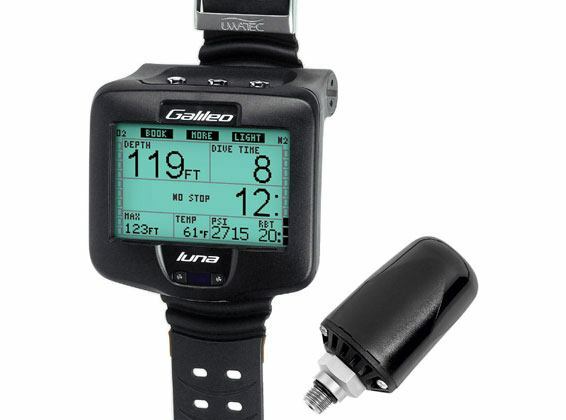 Learn buoyancy control, navigation and communication while drift diving. Learn techniques for staying with a buddy or together in a group. Recognize, prevent, and handle dive-related stress. A SCUBA emergency is compounded by the fact that you are in the water. Knowing how to recognize and handle stress and rescue situations is an invaluable skill to have. Mac’s Stress and Rescue specialty SCUBA class will teach you the skills and techniques to help you become a much stronger diver by learning skills and techniques to recognize, prevent, and handle dive-related stress, as well as give assistance or possibly assist in a rescue. A MUST for all divers! Recognize and manage stress in yourself and other divers. Emergency management skills and techniques. Rescuing panicked or unresponsive divers. Learn skills to save a dive that is going wrong. 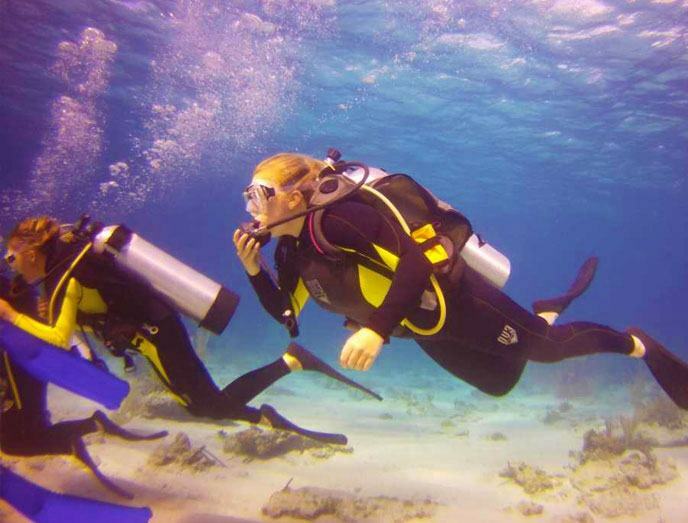 This is a great specialty SCUBA class for new and experienced divers alike. It helps you become more self-reliant with maintaining and field-repairing your gear. Learn tips and tricks to salvage a dive that is going wrong due to maintenance issues. Knowing what to do when equipment is malfunctioning is an invaluable skill to have. Learn how to build, and use, your own save-a-dive repair kit! Introduction to SCUBA field maintenance and repair. Techniques and skills to help save a dive with equipment issues. Build a save-a-dive kit, and learn to use it. Learn techniques to ensure quality underwater photos. 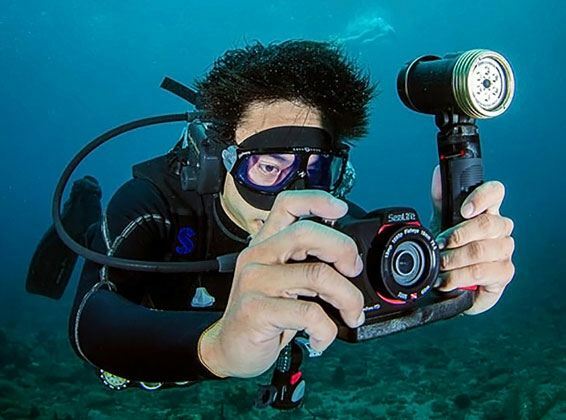 Capture and share your memories with an Underwater Photography specialty SCUBA class. Choosing the subject, composition, filtering, buoyancy control, image editing and specialty equipment are just a part of this Specialty. Learn the skills to safely and confidence to navigate underwater. Probably the most practical and useful specialty SCUBA class one can take. You will gain necessary skills that will help you explore more of the dive sites and then confidently return to the boat. Learn skills to estimate distance underwater. Gain an understanding of compass navigation. Marking and relocating submerged objects or positions from the surface. Learn skills for underwater map making. Gain the skills and knowledge to descend to deep depths. In Mac’s specialty SCUBA class for deep water diving, you will gain the knowledge and abilities to safely descend on dive sites that are just beyond the limits of the lesser experienced divers, whether it be a massive shipwreck or a sheer drop off on a coral wall. Learn how to use specialized deep diving equipment. Learn deep dive strategies, buoyancy control, and buddy contact procedures . Learn how to manage your gas supply, combat gas narcosis and other safety considerations.